Outstanding quality furniture from the 1930's, a French style sideboard, server or buffet could be a hall cabinet or TV console as well. Walnut with matched burl panels and a banded top, the restored finish is in excellent condition on this American made vintage furniture. Gentle curves are graceful, carved details are masterful. 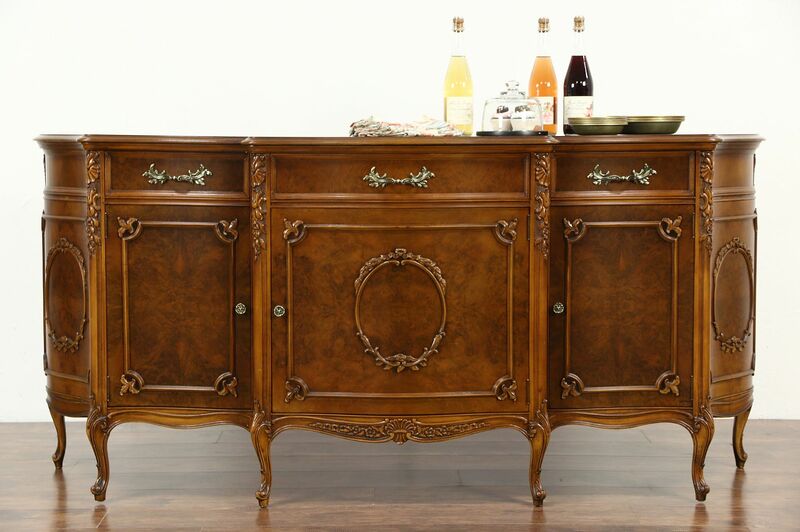 Embossed brasses are original, drawers have curved fronts and dovetailed sides. No maker's signature survives. Measurements are 78" wide, 23" deep and 36" tall.